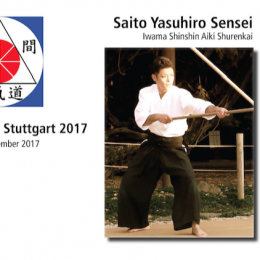 We are happy to announce that Saito Yasuhiro Sensei, son of Kaicho Hitohira Saito Sensei will come to Germany. 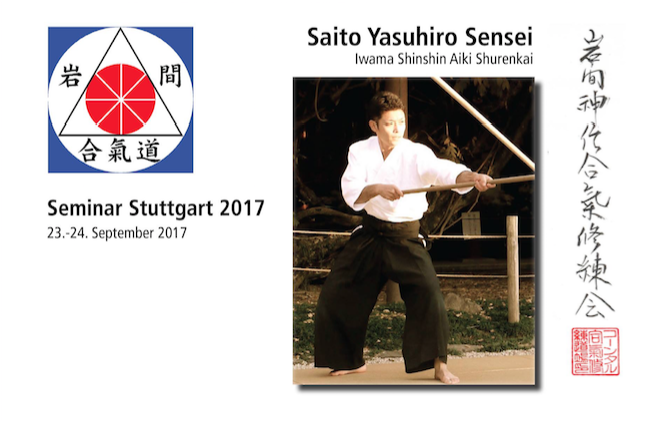 It will be the second time that Waka Sensei conducts a seminar in Europe. Anyone with recent experience in Iwama will know of his strength, speed, and precise technique. He is a strict, yet always helpful coach that offers detailed advice to the students, during and after every class, and has expanded his knowledge through the study of traditional sword; going so far as to achieve a MokuRoku in the Tenshin Shoden Katori Shinto Ryu. As someone with a deep understanding of Iwama Aikido, his teachings are extremely valuable and this seminar will be an event to remember! Details and registration will be available in June!